Choosing shirt and ink colors affect purchases a great deal more than you’d think. Pairing the optimal colors to attract your target demographic is key to get your customers to buy. Of all the factors that influence purchase, visual cue is number one. The most persuasive cue is color. 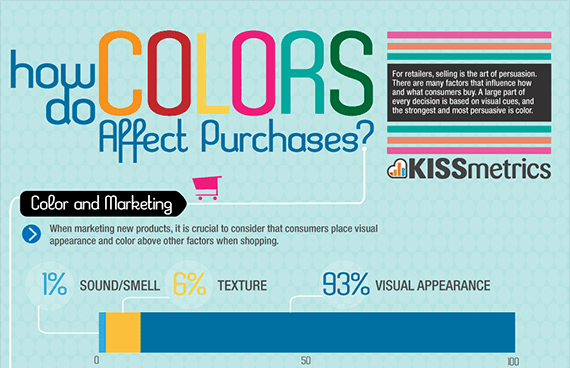 Learn about the color psychology and how it influences purchases, by viewing the infographic from the online marketing gurus over at KISSmetrics. 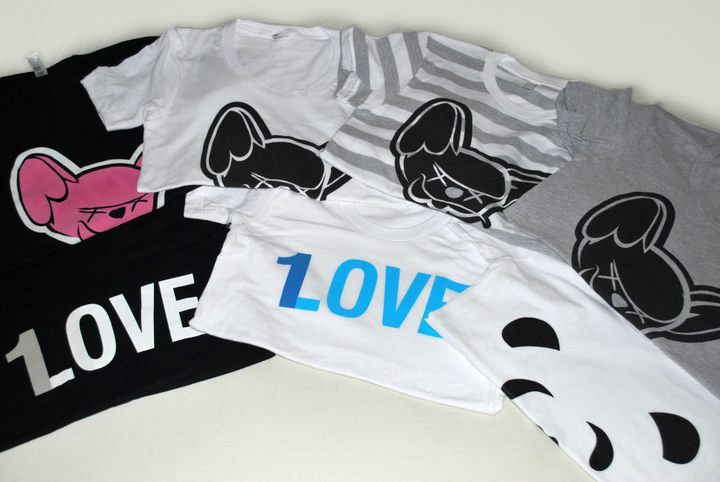 The look of your design is the essential first step to print quality t shirts. Great looking prints have sharp detail and vivid color. Much thought needs to be invested in choosing the perfect pairing between ink and shirt color. Sites like Colour Lovers and Color Combos can be helpful resources in choosing the right colors. Your color success will also be aided by a set of Pantone® Formula Guides. 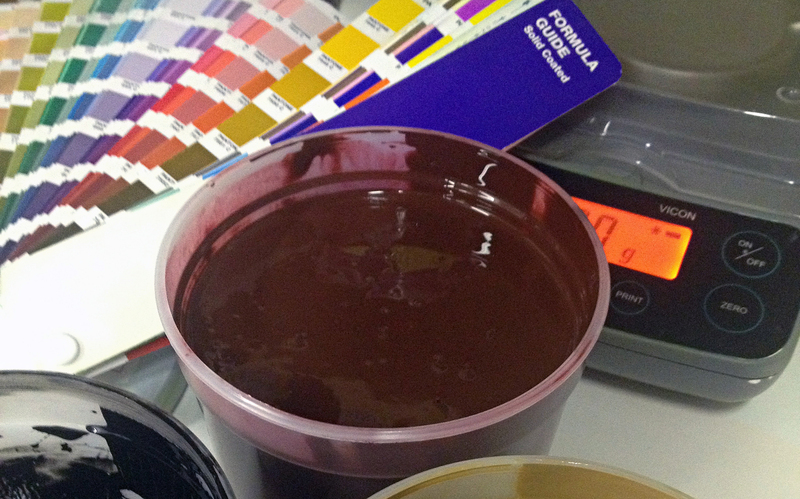 Our mixologists always utilize the Pantone book to produce accurate color matches our clients love. Pantone® Formula guides can be purchased from Amazon for about $125. While the price sounds steep, Pantone® Formula Guides should be in the toolbox of every designer. Your computer’s screen won’t be an accurate color representation of the end product. There is no substitution for the accuracy of the Pantone book. 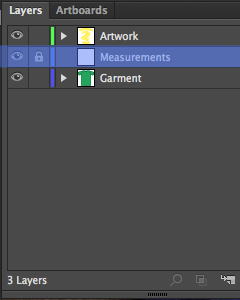 In addition most clothing manufactures like American Apparel offer the Pantone colors of their fabrics. This is a helpful tool in pairing ink and shirt color. 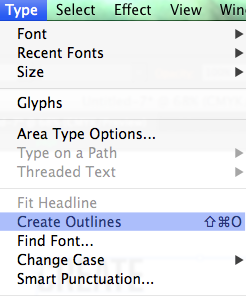 As designers we spend so much time crafting our art, we shouldn’t gloss over such an important detail. With perfectly mixed colors our focus shifts to the feel of the print. We all have our favorite t-shirt that feels incredible. More than likely the shirt started out with a soft print or, after many years and a few hundred washes, has become soft. Print with Superluxe Water Based inks anyway, sit back while you gush over the shirt’s quality, then tell you it’s water based. We choose Superluxe Water Based 9 out of 10 times. 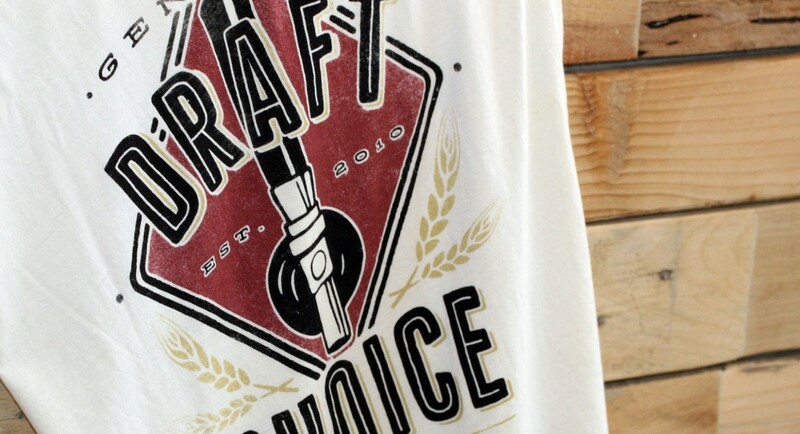 The end result is a soft print with crisp lines that is sure to become your customers favorite tee. Over the past two weeks the Superluxe Team has been working hard to bring you a new shop capable of large production and unparalleled quality here in the Valley. 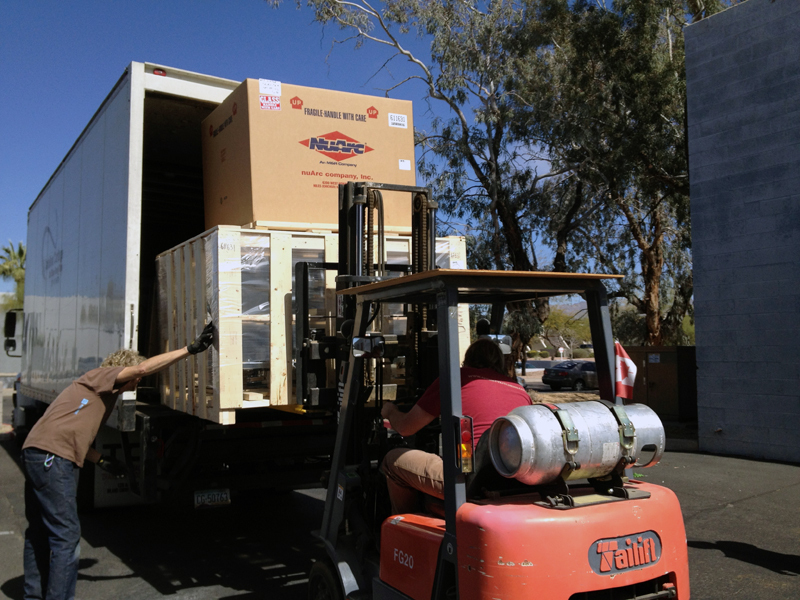 The new equipment has arrived and we are almost ready to unveil the shop. Here is a sneak preview of what we have added. Check back soon and we will have some pictures of the completed shop upgrade. Gabriel over at Pierced Heart came up with this complicated design / photo we printed for his new spring collection of t shirts. It’s a 3 color simulated process screen printed image. Simulated Process Screen Printing is simply a method of printing photorealistic images while avoiding the standard Four Color Process (CMYK) separations. CMYK is limiting since it can generally only be used on light-colored garments. Simulated Process Screen Printing is a more advanced technique where we use precise halftones of a few ink colors to recreate the colors in the original design. This process differs from CMYK in that the inks are solid opaque colors usually printed on dark colored shirts. Because the shirt’s colors are normally dark, simulated process generally requires the use of a white under base to make the colors pop. We use Simulated Process because it works well on darker garments such as black, brown, dark gray or navy and the results are terrific. We are able to achieve detailed shading and photo-realistic prints while still using soft, water-based inks resulting in stunning detail with a professional retail quality look and feel. This project was printed on a 100% cotton American Apparel tee with only two colors on 3 225 mesh S thread screens from Murakami. The print consists of a white under base, top grey, and top white. We were pleased with the depth and saturation we were able to achieve. 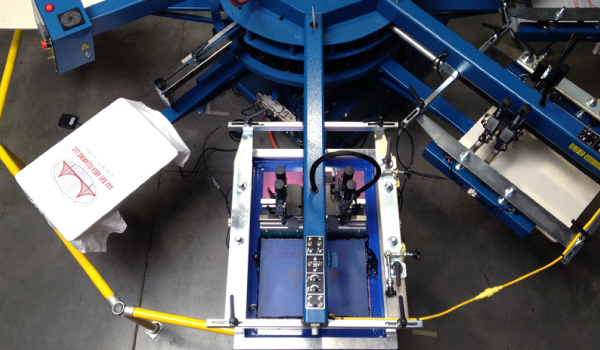 Click below to get an estimate and ask us if simulated process is right for your project. 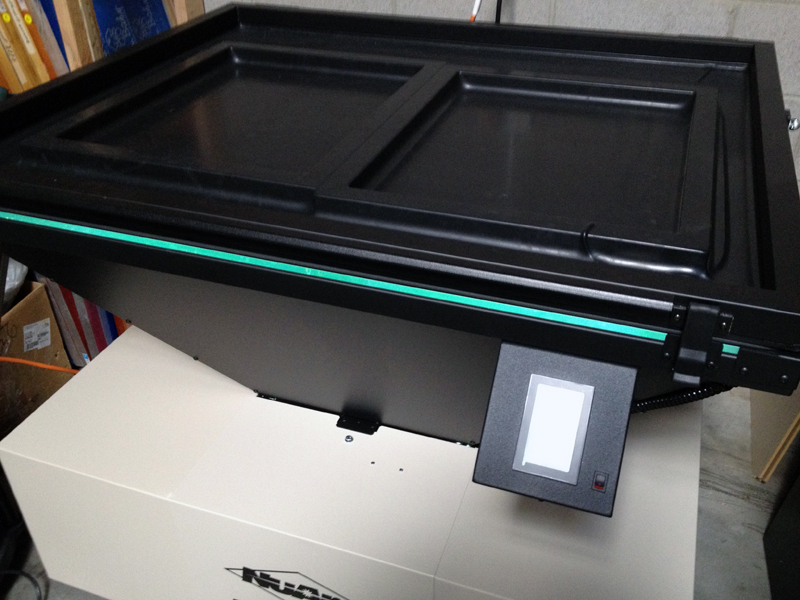 We will always recommend the absolute best print method for the job. A close up of the 55 dpi halftone. Would only a screen printer notice this t-shirt’s print placement? Print mistakes are widely accepted and even make it to iconic status. 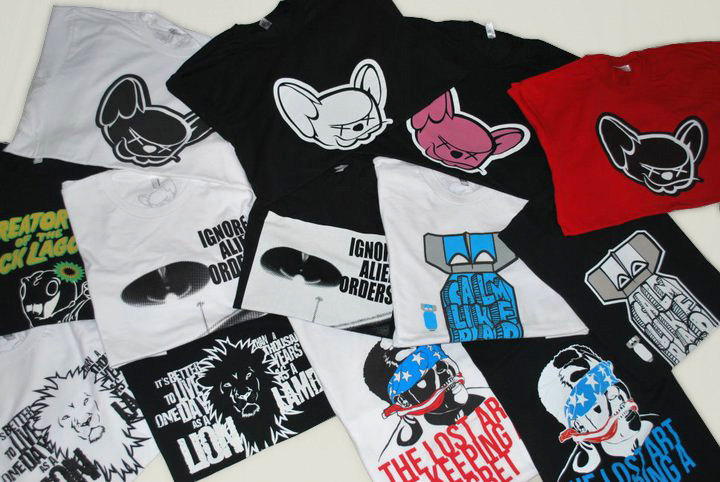 Superluxe is really proud of the new discharge and soft-hand t-shirts we have just finished for Pink Mouse. We were able to achieve bright bold colors that really pop and they feel soft as a dove. 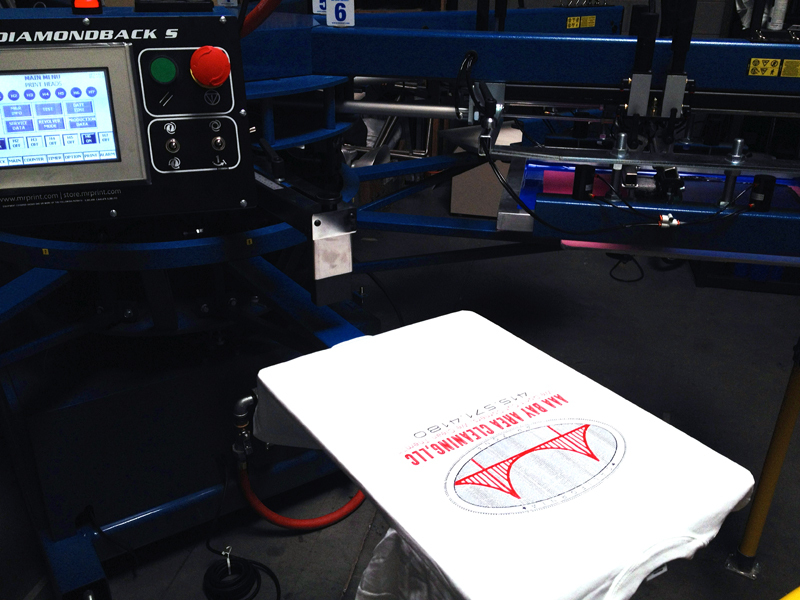 Discharge printing is a type of controlled bleaching done on 100% cotton garments. 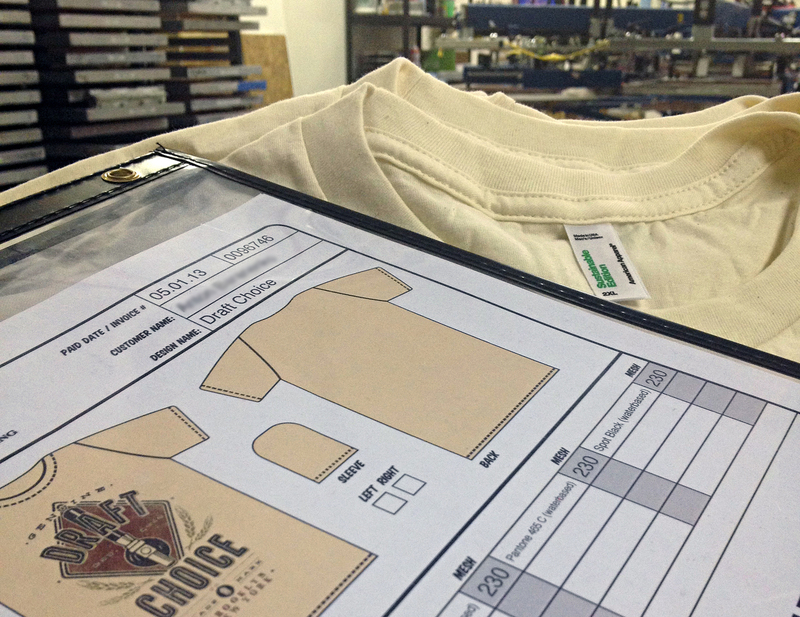 We are able to remove the reactive dye and replace the garment color with pigments of our choosing. Some discharge prints on darks and some soft-hand prints on whites. 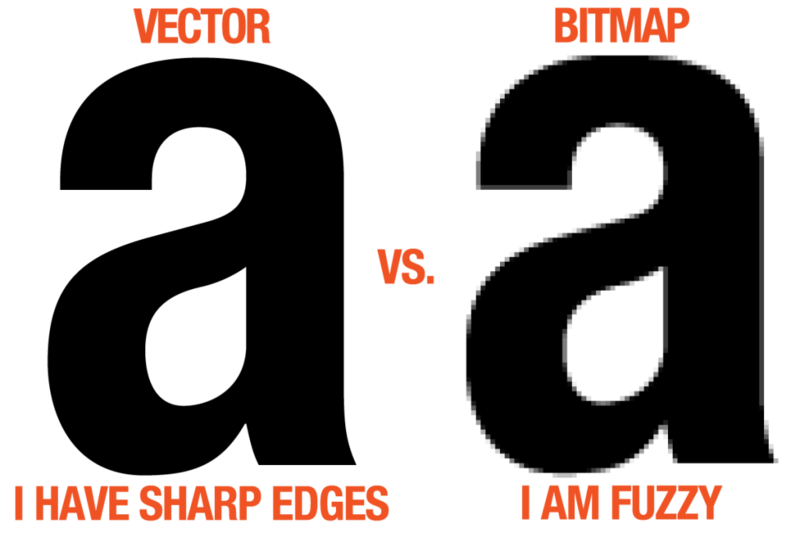 Often clients don’t understand vector vs bitmap. One of the questions we often field is “I have a photo or a picture from the internet, can you put it on a shirt for me?”. The short answer to the question is yes. From there we have a few approaches at making your shirt. To obtain good or at least decent image quality, the picture has to be good from the beginning. If we are working with a small and less than average photo our art department more than likely has to step in and work their magic. Initially we ask all of our customers if their artwork is in a vector format such as .eps, .ai, or .cdr. A yes answer is good news, but a no answer isn’t the end of the world, it just cost the customer a little more to achieve production ready art. For the sake of cost we discourage design in bitmap programs like Photoshop, unless the art is created to scale and doesn’t need to be enlarged or shrunk on the garment. 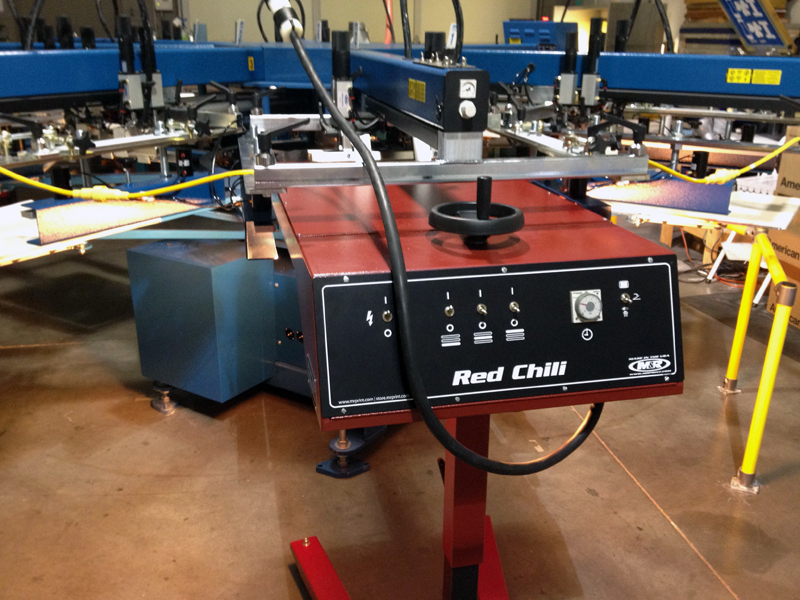 Some applications require a vector format such as vinyl decals for vehicles or signs. This post is meant to shed light on the differences between vector and bitmap images and will reveal the reasons vector images are the superior form of digital art for garment and sign production. line length and on down the line. 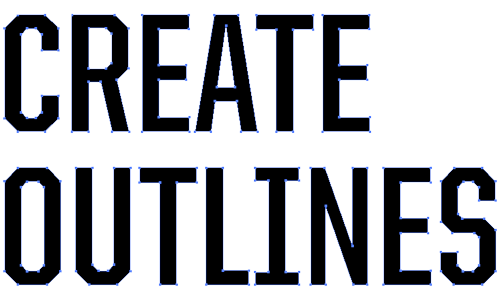 Text objects are created by connecting nodes, lines, and curves. 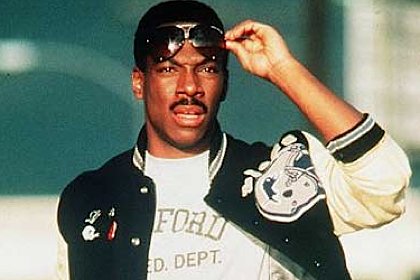 Vector images are defined by math, not pixels. They can be scaled up or down without any loss of quality. When an illustration (drawing) program sizes a vector image up or down, it simply multiplies the mathematical description of the object by a scaling factor. For example a 1” square object would need to be multiplied by a factor of 2 in order to double in size. The math is simply recalculated to produce an object twice the size of the original. Because vector images scale up or down without the loss of image quality, they can be output at any resolution that a printer is capable of producing. Unlike bitmaps, quality is not limited by dots per inch or scanning resolution. This is a big reason that vector graphics are so popular for clip art. A bitmap image is a collection of dots called pixels. Each pixel is a tiny colored square. When an image is scanned, the image is converted to a collection of pixels called a bitmap. Scanned graphics and web graphics (JPEG and GIF files) are the most common form of bitmaps. The resolution of a bitmap or scanned image is expressed in terms of dots per inch or dpi. A printer or scanner’s resolution is also measured in dots per inch. Typical desktop laser printers print at 300 dpi. Our printers print at 720 dpi; however the quality of the output is dependant on the dpi of the original artwork. The higher the dpi the smoother and cleaner the output. Take a 300 dpi bitmap and increase the size in a graphics program, and instantly you have a bad case of the “jaggies”. The only thing that happened is that the tiny pixel squares got bigger and created jaggy edges on your image. In other words, bitmaps do not scale up very well. If you aren’t familiar with vector programs or don’t know how to convert your artwork into vector, our art department can assist you for a fee. Please call us with any questions.